How can I be of use ? I’ve transacted all over Michigan and hold MI & FL broker licenses. I’ve also used my MI residential builders license to build in-house & to assist in consultations with DIY investors & landlords. Qualified to advise along the way, I have further experience remodeling, commercial and residential property management, and as landlord on my personal portfolio since 1981. Tenants have been apartment complex residents, students of fully furnished units, single family units, and office complex occupants from both private and governmental sectors, etc. My specialties are properties viewed & treated as an investment. I’m more interested in assisting you from that perspective, as is my referral network of CPA’s, property inspectors, lenders, residential & commercial insurance consultants, and landscape architects. 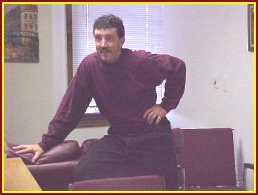 Whether you are a first time landlord, seasoned investor, fix flip, orlandlord building a portfolio, I’ve served folks from Waterford, Fenton, Brighton, Holly, Flint, Pontiac, Howell, Hartland, Detroit, Macomb/ Oakland/ Genesee/ Washtenaw/ and Livingston counties, northwest Michigan, eastern side of Michigan, and via professional referral from Florida to Texas to Virginia and all over the U.S. Income tax matters, construction feedback – what more do you need ? Paul has a long list of educational & related experience qualifications. He completed his Graduate, Realtors Institute (GRI) national designation training. Less than 1/2 of brokers and 20% of agents posses this designation. With experience in real estate tax, investment, management and marketing since 1981, Paul has owned and managed over 50 tenants of his own as well as a number of joint ventures. He has also been involved in property management of apartment complexes and office buildings as well as setting up and participating in corporate entities for a number of real estate development/investment concerns.